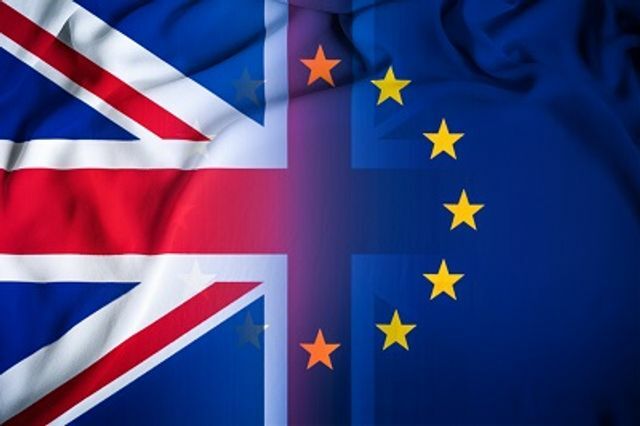 Is Your Service Provider Ready For A #NoDeal Brexit? As UK politicians gamble with a No Deal Brexit, it's critical to ensure the right contingency plans are in place for an exit without any transition period from 29 March 2019. Unfortunately, however, the European Banking Authority says it is seeing "little evidence of financial institutions communicating effectively to their customers on how they may be affected by the UK withdrawal" and those institutions' Brexit arrangements. So customers have to question their providers about those arrangements. Here's a quick guide to steps those institutions might take, depending on whether they're based in the UK or elsewhere in the EEA. If you don't receive a credible, satisfactory commitment to service continuity within the next few weeks, you should set-up alternative or back-up relationships as soon as possible. temporary registration if they are EU-registered trade repositories. If EEA-based firms carry out operations in the UK after Brexit in reliance on EU legislation without entering into these temporary regimes, they may be carrying on regulated activities in the UK without appropriate permissions, which would be a criminal activity and/or mean they cannot meet their contractual obligations. EEA firms that do not gain full authorisation through the temporary regimes can only continue to carry out new business to the extent necessary to 'run-off' pre-existing contractual obligations in the UK for five years (15 years for firms performing obligations under insurance contracts). They cannot undertake new business or agree new contracts with UK customers. A "supervised run-off" arrangement applies to those firms with a UK branch, firms who enter a temporaty regime but exit it without UK authorisation and firms that hold top-up permissions before Brexit. A "contractual run-off" regime will apply to firms without a UK branch that do not enter a temporary regime or do not hold a top-up permission; and will apply for the purposes of winding down UK regulated activities in an orderly manner. Firms with a UK establishment will retain their existing membership of the Financial Services Compensation Scheme. A run-off regime for payments firms and e-money firms that do not enter the temporary regime or leave it without full UK authorisation will apply for five years, either on a supervised or contractual basis (though the FCA can require supervised run-off for firms to demonstrate they are safeguarding client funds). A run-off regime will apply for non-UK Central Counterparties that are eligible for, but do not enter, the temporary recognition regime, for a period of one year starting on exit day. If a non-UK CCP entered the temporary recognition regime but exits it without the necessary permanent recognition, the Bank of England will determine a non-extendable period for recognition up to a year. There will also be a run-off regime for trade repositories that are removed from the temporary registration regime without the necessary permissions to continue to provide services to UK firms, for a non-extendable period of one year, unless the FCA sets a shorter period. The FCA has suggested that UK financial services providers consider the following questions ahead of Brexit. We've added some links to other Insights where relevant. If the answer is 'Yes' to any of them, then the service provider should understand the legal basis for that scenario and whether another basis is necessary after Brexit - including additional regulatory permissions or a new subsidiary with the right authorisation or agency and necessary permissions in a remaining EEA member state. Do you currently provide any regulated products or services to customers resident in the EEA? For example, you might provide financial advice to EEA based customers. Or you might have insurance contracts either with EEA based customers or which cover risks located in the EEA which require regulatory permission in that country in order to be serviced. Do you have customers or counterparties based in the EEA, including UK expatriates now based in an EEA country? Are you marketing financial products in the EEA? This includes products marketed on a website aimed at consumers in the EEA. Do you have agents in the EEA or interact with any intermediary service providers in the EEA? For example, you may use an insurance intermediary to distribute products into the EEA. Does your firm transfer personal data between the UK and the EEA or vice versa? Does your firm have membership of any market infrastructure (trading venues, clearing house, settlement facility) based in the EEA? Are you part of a wider corporate group based in the EEA, or does your firm receive any funding from an entity in the EEA? Do you outsource or delegate to an EEA firm or does an EEA firm outsource or delegate to you? Are you party to legal contracts which refer to EU law? other impact on contractual and/or statutory rights, including the right to terminate existing contracts and cancel new contracts, and any rights of recourse and how to pursue them. If you do not receive credible, satisfactory assurances of service continuity post-Brexit from existing providers within the next few weeks, you should set-up alternative or back-up relationships as soon as possible.